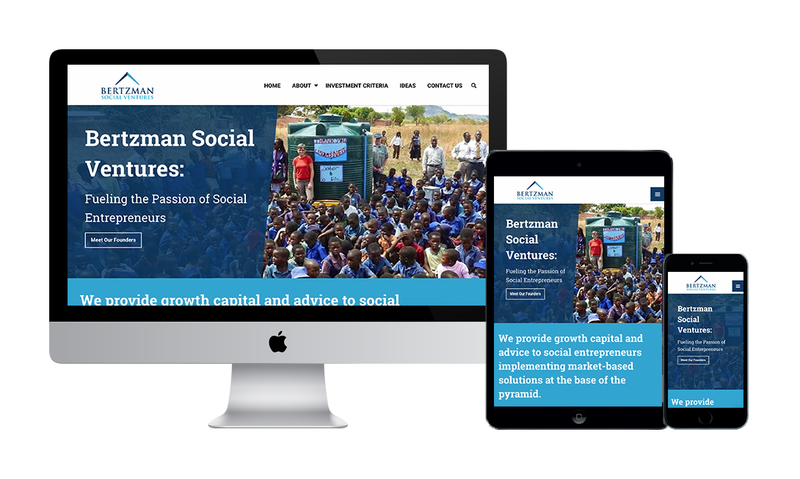 Indianapolis SEO & Website Design | Bertzman Social Ventures Project | Marketpath, Inc.
"It was a pleasure working with the team at Marketpath. I was impressed how from the very start, they were organized, prompt and drew up a detailed project plan. Our new website, by their own admission, was somewhat different than the projects they handled in the past but nevertheless, they grasped what we were trying to accomplish and helped us communicate our vision expertly. Marketpath also volunteered to help us design business cards and PowerPoint templates to match the color scheme and theme of the website. Last but not least, I feel that we received a tremendous value in return for the cost of the project."